While he ponders just how to bring Ivan Drago back to the Rocky-verse in the new Creed movie, Sylvester Stallone is poised to reunite with yet another previous co-star. It was announced today at the Television Critics Association summer press tour that the erstwhile action hero will guest star on NBC’s tearjerker hit, This Is Us, which stars Milo Ventimiglia as one of the main sources of heartbreak. Ventimiglia played Stallone’s son in 2006’s Rocky Balboa, and the This Is Us star apparently called in the favor. Stallone’s guest appearance will see him playing himself in a movie opposite Kevin (Justin Hartley), NBC has confirmed. And at today’s This Is Us panel, creator Dan Fogel said Stallone will serve as a “father figure” to the potentially washed-up actor. The cameo is in the same spirit as the late Alan Thicke’s appearance in the pilot. 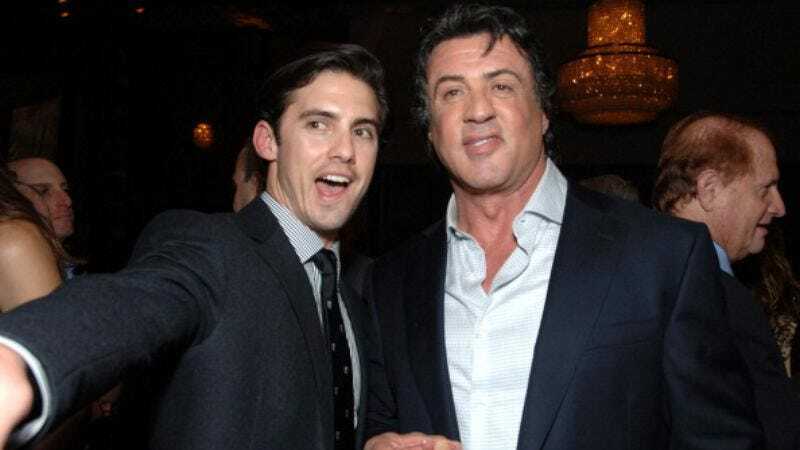 There was no indication that Stallone and Ventimiglia would share any screen time, but the show’s multiple storylines render that unlikely. But at the very least, we hope to see an episode where movie night at the Pearson home features a Rocky marathon. Additional reporting by Erik Adams.